Paintings on gallery walls have always been distant to me. I think of Pierre Bonnard's quip as I wander, aware that I am too soon drawn toward the text panel on the wall beside each painting, to the wall itself, to the design of the gallery space – what if there were a hundred windows and only one painting? – and then to the giftshop, as if in search of something to close that distance: a postcard or Mondrian mug. 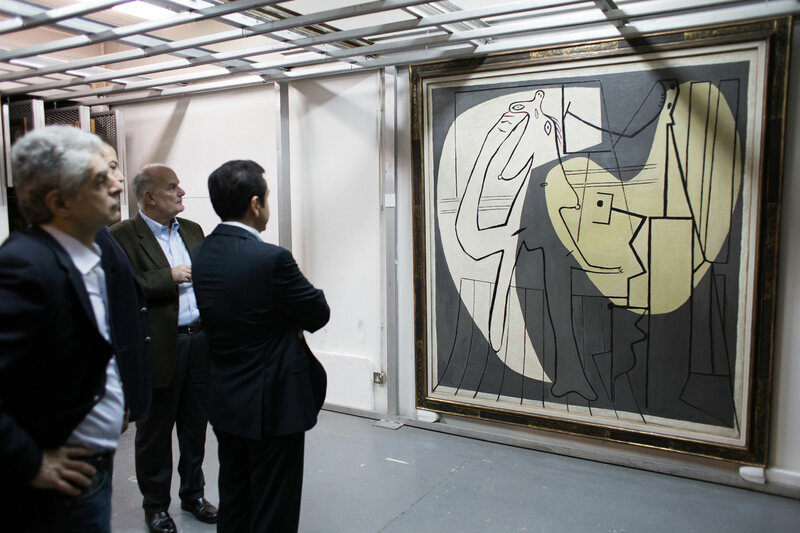 I am always trying to understand this space, specifically why a painting, any painting, has its peculiar presence in the world – part of the world and apart from it. It's a question that invariably leaves me frustrated or blank. Which is why I have been drawn in recent years to what TJ Clark calls art writing: distance is there already in the relation to the form, something gratifyingly signalled in the epigraph to his latest book quoting Ruskin's revelation of the "entire superiority of Painting to Literature...and of the enormously greater quantity of Intellect which might be forced into a picture...compared with what might be expressed in words". Art writing thereby differs from literary criticism because, in the latter genre, mastery of the form often obscures whatever is being discussed, elevating and reducing itself and the object in the same movement. In writing about art, there is an implicit admittance of distance that immediately opens a space to be closed or at least traversed. While Clark orchestrates history, biography and technical detail in the way you'd expect of an art historian, each is always a means of investigating the intellect of a painting, which in Heaven on Earth means those that relate to "the idea that the world we inhabit might open onto another"; the life to come of the subtitle. We seem to be standing in a room. There appears to be light in the room, falling or flashing across the walls and floor like the beams of a searchlight: two great shapes of light, the one on the left a deadly bone-to-ashes off-white, and the other a slightly – but only slightly – more organic pale yellow. To which I responded, as I always do, silently, churlishly, No, we're not in a room – it's just paint. But then he asks if we should understand the lit shapes as holes in the picture surface: "holes that dramatize and materialize the strange fiction of European painting since the Renaissance called 'the picture plane'." 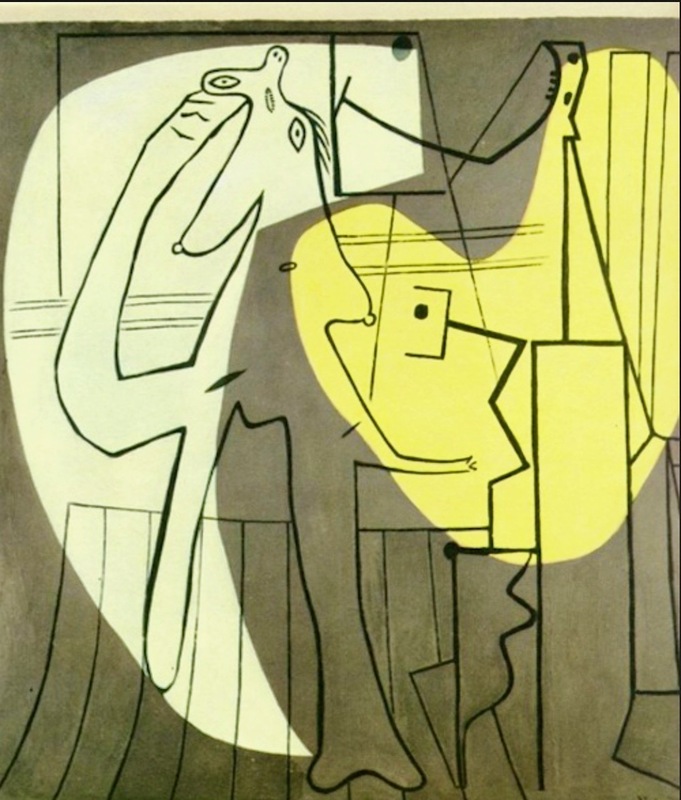 So much of Picasso's painting, Clark says, has to do with this fiction. The picture plane is an a priori. For depiction to take place at all, it says – for the very notion of appearance to make sense – hasn't what appears necessarily to appear somewhere else than where we are, on the other side of an ontological divide? There must be a place in representation – a virtual, invisible threshold – where the space of the scene ends and the space of the viewer begins. The picture shows us that place. The absence of acknowledgement of the picture plane, I realised, constituted my distance, and the resentment underlying my behaviour in galleries was frustration with the acceptance or ignorance of what one might call the ontological divide, so that I could see the appreciation of art in general only as the connoisseur's admiration of technical facility, the romantic's sentimental wish-fulfilment or consumer's decorative kitsch. 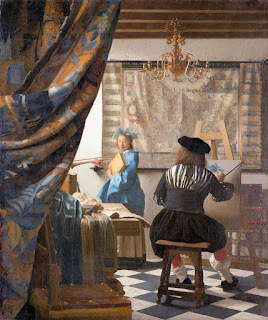 What painting has to offer most deeply, so Vermeer seems to believe, is light; and it should not offer that ground of experience merely in spots or patches...but as a totality, here in front of us, completely present, completely intangible. This prompts more of my confusion: why do we need what is already plain as day to be presented in artificial form in the first place? Given that painting no longer has an overt ritual function spinning metaphysical truth from the same material, what is the meaning of art? Framed colour on a wall is in itself a very odd thing when it ceases to have a practical purpose. The Painter and His Model might then be one of art's few suicide notes, with its relative ugliness enacting or at least encouraging a transformation of our relation to painting in order for us to ignore its promise, or at best to travel through its portal of light, foreclosing the divide and thereby perhaps merging its inherent perfection with the malady of our earthly quotidian. 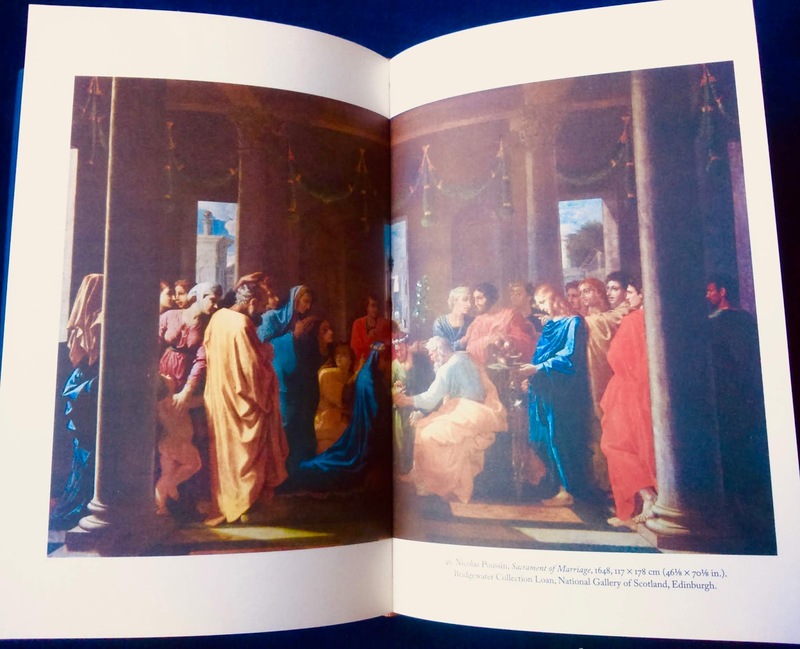 It is this moment of transformation that is the centre of Clark's new study, which foregrounds works of art with Christian themes by Giotto, Bruegel, Poussin and Veronese, with Picasso reappearing to provide an atheist coda. His focus, however, is on political transformation, in which heaven on earth would be a really existing state rather than the promise of an afterlife, something he sees revealed in the subject paintings: "What the artists whose pictures held me captive offered most deeply" he says in the introduction "was a way of being earthbound – fully in the here and now." While the utopias of religion and politics have produced only hell on earth, these paintings frame a transformation with an awareness of how the wish for the life to come can lead to the life to end. 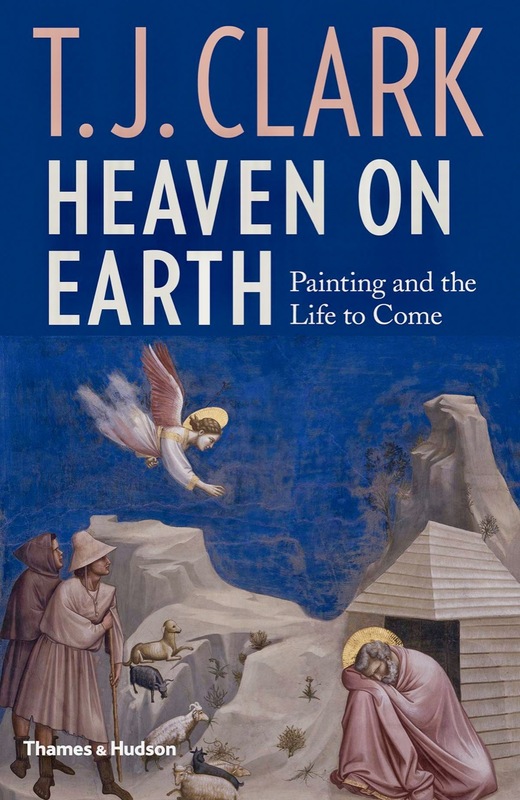 The fact that Heaven in Earth is a book of nearly 300 pages rather confirms Ruskin's observation, as it detours through innumerable avenues to back up its readings of individual paintings so that one is constantly flipping back to the illustration to rest from being in turn intrigued, engaged, overwhelmed and exhausted by the detail and digressions. But never bored. And for this reason it is also qualifies the value of Ruskin's truth, as it opens the eyes of the vacillating gallery visitor enough to see what he – that is, me – has casually overlooked. 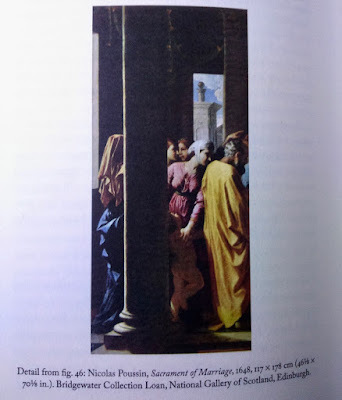 The chapter on Poussin's Sacrament of Marriage is a prime example of Clark's passionate perception. Here is a familiar Old Master's representation of a religious scene, in this case the moment God interrupts the betrothal of Mary and Joseph to give it his blessing, so setting in motion the entire Christian story. It is a painting I would have walked by with barely a glance. Clark gives the biographical background to the painting and then a description of its internal symmetries and commentary on its people, clothes, setting and related works, including the six other paintings in the sequence, before coming to what he calls 'the presiding deity' of the painting, which is not, as one might assume, found at the centre, let alone in God Himself, represented here by the staff of flowers standing beside the couple, but the figure on the far left, half hidden by the column framing the event, whose folds of cloth are given impressive relief by the light streaming through the window. Clark calls her the femme-colonne – the woman-column – because she in effect merges with the pillar. She is, Clark says, mysterious, veiled, marginal to the event, apart from the intervention of grace at the centre, outside even, at least "to one side of the sacred", thereby threatening the togetherness of the group. And as her head and face are covered up, she is also the embodiment of the double meaning of 'figure': both physical body and abstract metaphor, so that she is the attentive viewer of the transformation taking place yet also something more: a figure from myth and fairytale such as "the forgotten relative at the little princess Aurora's christening, bringing the gift of death". The femme-colonne is also a figure of light and darkness, of the arbitrariness of the means of painting in that there's "something uncanny" in the way the viewer knows that she is looking at the scene even though we cannot see her face let alone her eyes. She is also the figure of things to come, of Christ's life prefigured in Mary's joining of hands with God, and also his death in that she and the column prefigure the darkness of his execution and thereby represents the figure of the human, the real body standing upright and alone in the real world, "all that is mortal in opposition to the reach of the cross"; a vulnerability emphasised by the protection and concealment of her clothes and in contrast to the unclothed boy on the other side of the pillar. 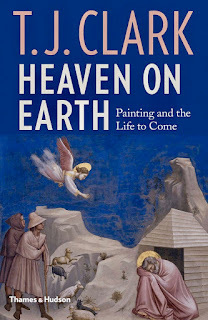 The proliferation of possible readings here and throughout Heaven on Earth demonstrates the challenge for Clark and the reader – one to explain to himself and us the intellect of a painting, and for us to cope with such sudden explosions of a figure who was merely one of many, apparently random onlookers. That said, this not a question of whether one accepts or rejects each or every possible reading, because they present themselves with the same hospitality and caution as one must present oneself in the here and now before a painting. For Clark, however, the demand must not end in a pick and mix sale of possibilities because, as if sensing that art criticism is not enough, the book ends with the 25-page essay For a Left with No Future first published in the New Left Review in 2012 that links the qualifications to the utopian vision he sees within the paintings to a revival of Left politics. Rather than a return to utopian visions he argues for a pragmatic, humanist politics of 'small steps' and 'a disdain for grand promises' that, while it does not seem revolutionary, because it is one "directed, step by step, failure by failure, to preventing the tiger from charging out would be the most moderate and revolutionary there has ever been". In his own way, Clark too finds paintings unbearable in their perfection, only without such histrionics, and matches Reger's striving for recovery on a human level. And of course what he sees in the femme-colonne is not a massive mistake but what stands beside or outside the moment of grace given by God, or what is given by paintings in general, and how they may allow us to resist or mitigate the repulsion or suffering that Reger expresses. It is a sense of the unbearable that is akin to my unreflective resistance in galleries, which I attributed to a lack of acknowledgement of the picture plane – the purely procedural element of interaction – but after reading Heaven on Earth I realise it is perhaps a more basic response to the strangeness of art works in general. Why, again, do we feel the need to make and look at things that appear only to duplicate the world? Or, rather, what effect does such duplication have on us? Unlesbarkeit dieser Welt. Alles doppelt / Illegibility of this world. All things twice over. The first lines of Paul Celan's untitled poem from Schneepart/Snowpart suggest, to me at least, the effect of representation – in ink, in paint – is to make the world illegible, and Blanchot has written more clearly that the first one to write was "changing all relations between seeing and the visible" and what emerged as a result was "a gap in the universe: nothing that was visible, nothing invisible". While Susan Sontag rejects the idea that there was a gap: "To possess the world in the form of images is to re-experience the unreality and the remoteness of the real". But it has been claimed by one prominent archeologist that for those who can be assumed to be the first to paint, the images were not representations of the other world but that other world itself as witnessed in dreams and trance states, and that painting was a means of fixing a direct relation to it. In the millenia since we have lost that relation and what art offers to conscious life instead inevitably remains apart; a vain promise. Painting is not the representation of the inaccessible but the inaccessible itself. And this bleeds into the real world because the somewhere else than where we are does not go away. You may remove an abstract that brings colour to your wilderness of lime render but, once gone, the unfaded light of the square left behind becomes as intangible as the painting, and then so too the surrounding wall, and so too the windows and the world beyond. This does at least mean that painting and the world become more fascinating presences, albeit in the distance. At first I thought the book's focus on religious paintings would produce only minor interest after the contemporary philosophical challenges of Picasso and Truth, but this book continues the challenge of making painting a vital if obscure form of contestation of everyday life and its possibilities without reducing it to all the abuses to which 'art' is subjected. Heaven on Earth is an interruption of rote looking and rote thinking, which is appropriate given that Clark writes that theologians tells us that a sacrament is a mystery, hence the wish to fix one in a painting, and while over time religious ceremonies like paintings set in museums and galleries may become routine, diminishing their power, "there always remains about them a trace of the incomprehensible or ominous. Grace is interruption". Thank you for these insights. You’ve led me to a book I need. 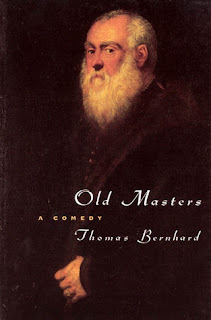 And yes, Old Masters!